Today was faded, like it had been left out in the frosted sun too long. Though no sun could be found in the sky. By eight, the cobbled streets had become a reflection of the sky, and also my mood, as on my way back from the market, with my shoes already full to the ankle, a passing cart sent these reflections high into the air like a fountain, only to drench me further with the dust thick water. Thankfully these tears of the sky dried up at around three o’clock, so I sat down at my desk near the window, with a steaming cup of tea, and sifted through the pile of incomplete work, looking for a ray of warmth to brighten the room. Today I woke to honey-coated walls, and an orchestra already in full swing outside my window: the perfect ingredients for a day of drawing. After breakfast, I sat at my little table, my cup filled to the brim with dark orange-red tea and a smiling slice of lemon settled at the base. With that, a pencil, and an oozing stroopwaffel in my left hand, I put the pencil to the paper, and the images began to flow. By ten o’clock, the tree had grown, the leaves had sprouted, and Madame Flutterby had been and gone. Outside, a drizzle had begun. Noon came soon after, so I left the young caterpillar to have my lunch. Three, and I needed a cup of tea. The mischievous caterpillar, in my absence, had eaten holes in my leaves, and grown fat. At dinnertime, my hand was aching; beyond the window, a storm was raging, and the golden egg that had appeared reminded me that rest and patience would be needed, so I put my pencil to bed. I gazed out of my window, counting the birds that passed, contemplating that I should so like to branch out from watercolour to oils as I should so like to capture the elusive iridescence and brilliance of the Summer Birds. For a moment my fury at the many daftly limiting rules flew up within me (what foolish man came up with the insult of forbidding a woman from purchasing oil paint?! ), but this was smoothed by contemplations of my three wonderful daughters, and all the winged daughters of the sun as my friends. As I peered out of my window at six, I was delighted to find that there were no clouds in sight, so, with my tools, I set off to the public gardens. At nine: a bright flutterby was flying above the tree, like the birds above my head. Eleven, and her sleepy sister had emerged: snoozing on a branch, as I explored the delicate hairs on her wings. I reached out and stroked her intricate wings, lifting a powdery grey smudge on my fingers. Soon, by noon, the page was full, but something was missing: the page was bleak, like the streets. As I mulled on this, a cheeky magpie landed next to me, stared me out, and then quickly flew off with my earring (it must have fallen off while I was under the flutterby’s spell). As it flapped away, its wings merged with my flutterby’s and as I flicked the pages of my diary, I found myself in Suriname, where I had first seen the magnificent Great Owlet Moth and watched the Dance of the Summer Birds. These first two weeks in Suriname have taught and showed me so much more than an entire year back home. The locals are lovely, inviting me into their homes and to meet the enchanting wildlife, what more could I ask for. I also seem to have acquired a little shadow. An ocelot with pretty printed markings on her forehead like the wings of a leopard lacewing butterfly, paws of velvet, an almost imperceptible meow, and an adorable kink in her tail. This morning, I went on a walk along the Carameca stream, guided by one of Van Vredenburg’s farmers. The conditions they make the farmers and their families live in are atrocious, a crime against humanity. When I raised this with Paulus van de Veen (the governor) and the others, they laughed at me. It feels as if they laugh at me any time I open my mouth. They are ruining this land and it’s ecology by mistreating the locals and ignoring their traditional ecological knowledge of their land that has nourished their people for generations. It’s easy to see their malintent, if you follow the money. Back to the stream… the farmer had left for his lunch, and I was strolling along when I spotted a caterpillar with tufts of hair like the feathers you can see on horses in parades. I had just gotten my sketchbook out, and begun to draw, when suddenly, a kitten leapt out of the bushes and landed next to me, batting my pencil out of my hand and chewing it. I looked around for it’s mother, but there was none. When the farmer returned from his lunch, I asked him what it’s species was, the farmer said it was an ocelot cat, and that she was lucky I had found her, as her mother’s disappearance was likely to do with the recent spike in the fur trade due the the demand for fur coats. That was it, I scooped her up, put the caterpillar in a jar, and took her with me back to my lodgings. By the time I got back, it was late, and Mijn Kleine Schaduw was looking tired and hungry, so I poured her a bowl of milk, sat at my table, and began to continue my drawing under her watchful gaze. 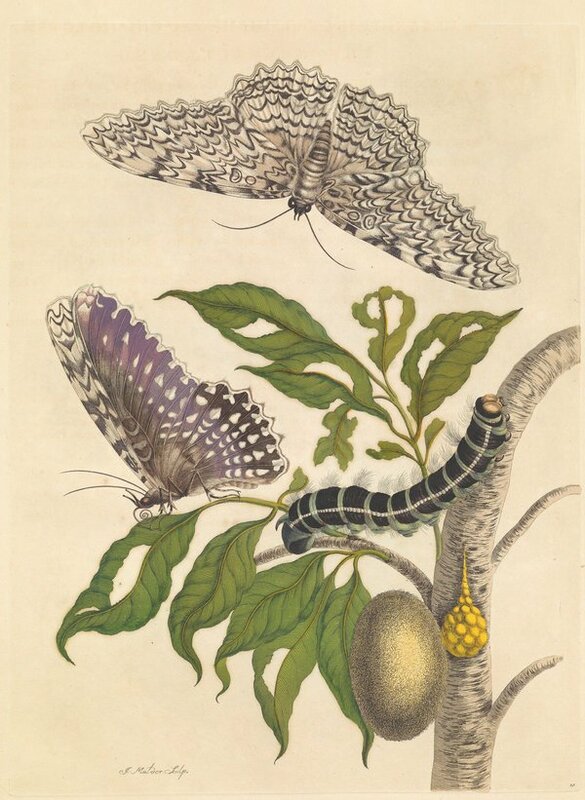 It was almost midnight, my lamp was fading, I had just put the caterpillar in a flower pot outside, and I was about to retire to sleep, when suddenly a leaf on the small branch I had given the caterpillar to munch on started rustling and a flutterby gingerly emerged from one of the knots underleaf. Carefully, gently, wetly, shaking and swaying slightly as her wing’s uncrumpled and then sitting tiptoed and silent under the warmth of my lamp; her colours brightening as she dried into firm form. I watched her for hours, hanging off her branch, inflating her wings as they straightened like a piece of origami. Then, as the sun was peering from behind the mountains, and as it’s rays splintered each drop of the waterfall into hundreds of waltzing nymphs, twirling as they descended, then, with a wave of her foot, the dazzling being took off, and glided out of my window, ready to explore the wonderful world awaiting her. Mijn Kleine Schaduw momentarily woke up, but believing it was a dream, licked her lips and went to sleep. Saturday, December 10, 1701 continued.. I opened my eyes with a start, dipped my brush in some water, and painted the tufts of feathers on the caterpillar’s back, the green on the leaves and a dash of violet on wings of stained glass. The Dance of the Summer Birds had begun.